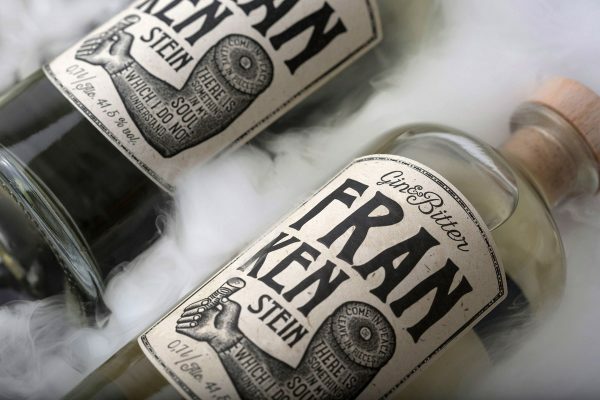 Frankenstein Gin and Bitter is a bold new product with a great packaging design. Let’s take a closer look. New brands of liqueur come at us in a constant stream and it’s not often they stand out. This is one that I think has a solid chance of making an impact. 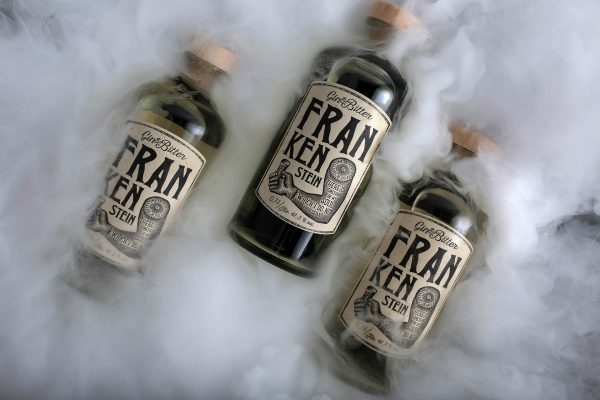 It is called Frankenstein Gin and Bitter and comes in a great looking packaging design. 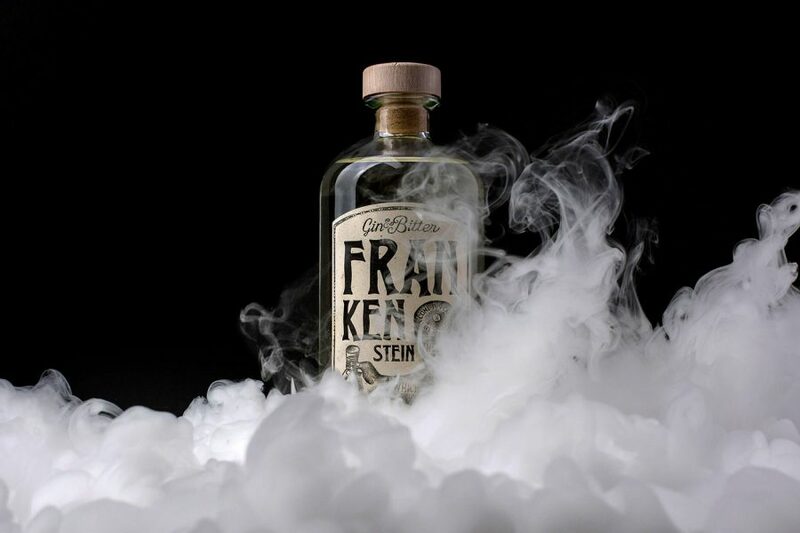 Frankenstein is a mix of gin and bitter. It comes in 70cl glass bottles and at an alcohol content of 41.5%. So either try this one as a drink ingredient or maybe as a side to a chilled beer. I haven’t had the chance of trying this product and I’m not sure to which consumer it is aimed at. But looking at the design and what type of product we are talking about I’m guessing this is a more sophisticated try of getting some of those Jagermeister drinking youngsters. I like the concept of taking an already known fictional character, it’s an idea I see in student work all the time. This time it’s not just a fun thing, it’s an actual product. The idea here is that just like with Frankenstein here something new, interesting and slightly scary have been created. Now for my favorite part of this concept, the packaging. As you can see this is a clean design. A clear glass bottle with a regular cork to seal it. 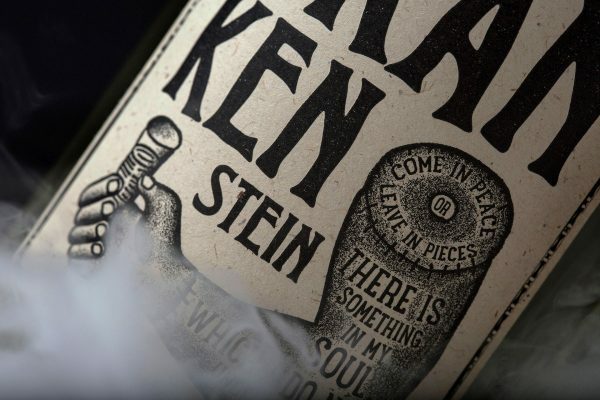 The design is all about the label which comes in a tainted paper, like something out of a classic horror story. The name and a great illustration of an arm holding a shot with a few fun words written inside the arm. A great design and great work by Folk Design Agency who is behind the concept. For more great packaging don’t forget to check out my full coverage here.